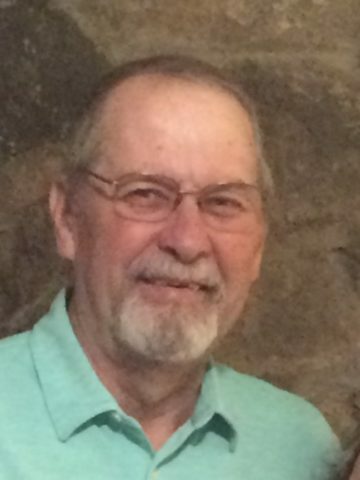 Malcom Lyell “Mack”- Age 70, September 29, 2018. Preceded in death by his parents, Dorothy and Malcolm Lyell; daughter, Amy Lyell Osteen. He is survived by his wife of 48 years, Penelope Lyell; daughter, Jenny Lyell Moore (Matthew); grandsons, Sage and Aidan Moore; sister, Linda Lyell McKinney (Paul); nephew, Matthew McKinney (Hilary); nieces, Susan McKinney and Allison McKinney Smith (Steve). He was a Captain in the US Airforce. He was an avid fisherman, golfer and a true Alabama football fan. He loved his family and spending time with his grandsons. A true friend to everyone and had a great sense of humor. He was a longtime member of 25 plus years at St. Matthew Catholic Church. Visitation will be from 9:30-11 a.m. on Monday, October 22, 2018 at St. Matthew Catholic Church,535 Sneed Rd W, Franklin, TN. Funeral Mass will be at 11 a.m. on Monday at St. Matthew Catholic Church. In lieu of flowers, donations can be made to St. Matthew tuition assistance program, Alive Hospice or American Cancer Society. Mack was a friendly soul. I really enjoyed the years I was able to work and travel with him. I wish comfort for your family during this time of grief. Going through school together and the many years since, I don’t remember ever seeing Mack down. He was always up beat and carried the party. A friend to all for sure. Mack, I will always smile when I think of you and you have a special place in my heart. Sit on that cloud and smile down on all of us. Will miss you my friend. Mack was a great guy, good athlete, and a good friend in high school, who proved to be a good man and friend in adulthood, as well. I wish we’d had more time to laugh and tell stories. Mack was devoted to his family, and was so proud of them. He loved and was loved. I’ll miss you, Mack. Mack was a great guy, good athlete, and a good friend in high school, who proved to be a good man and friend in adulthood, as well. I wish we’d had more time to laugh and tell stories. Mack was devoted to his family, and was so proud of them. He loved and was loved. I’ll miss you, Mack. God bless and keep you. Oh Mack, how we loved being your neighbor lo those many years ago in Ft. Worth. And how you are going to be missed by me and all your friends and family. I gave Penny a message for you to give Paul when you guys are out fishing and I’m sure you won’t forget. You know I couldn’t close this without saying thanks for the help after Paul died, oh yeah, Boomer Sooner!!!! Couldn’t resist and if you had thought of it when Paul passed away I’m sure you would have said Roll Tide. Love you and the family, I’ll help Penny as much as I can from 12 hours away. Words cannot express my sadness in hearing of your loss of your beloved Mack. May your memories of Mack and the endearing stories of his life fill your heart and soul with peace and comfort. Heartfelt condolences to you and yours, Penny, during this time of sadness and great loss. So sorry to hear this. Went to his home many times when i was in highschool. He attended the methodist church and l did too for a while. The youth group do a lot of activities together. He was a really nice guy. So sorry to hear of Mack’s passing. We have been reminiscing about all the fun times we had at the Sun Spree in PCB. Sending hugs and prayers to the family. Penny, you and Mac were and still are such dear friends of ours. We have so many memories when we think back on the many years we have known you. We plan on coming to Nashville to attend Mac’s funeral. Mac has meant so much to us as have you. See you soon.